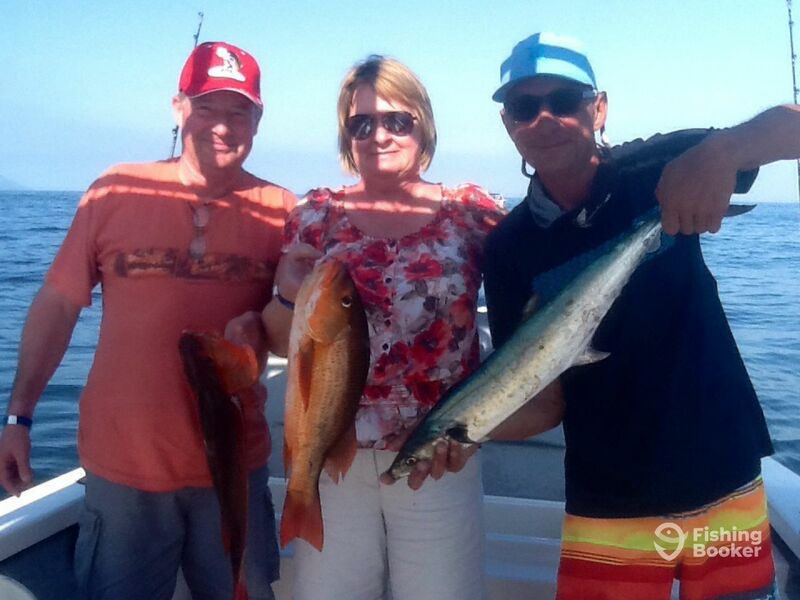 Great couple of days by Los Arcos catching Spanish macrele, grouper, and jacks, also Mahi are around! Captain Gabriel Alcaraz spent all his life on the beach. 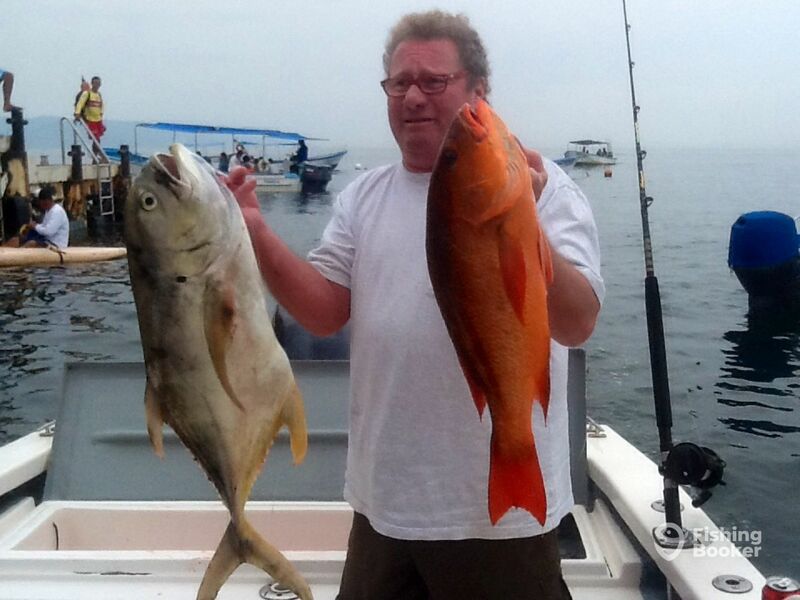 He started as a first mate at the tender age of 11, working on commercial fishing boats and charter vessels. 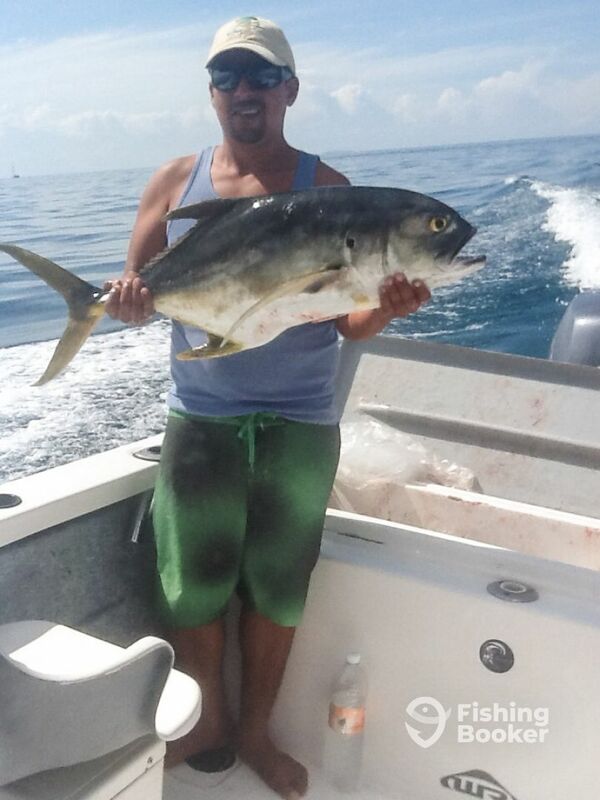 Born and raised in the area, Gabriel is a second-generation fisherman who has been guiding for the past 2 decades. Capt. Gabriel even designed his own boat! As Captain Gabriel Alcaraz likes to say, “Fishing is 50% luck and 50% passion.” His Super Panga Tres Estrellas has good luck. The only thing that’s missing is your passion! The crew are all bilingual professionals who want to catch fish as much as you do. 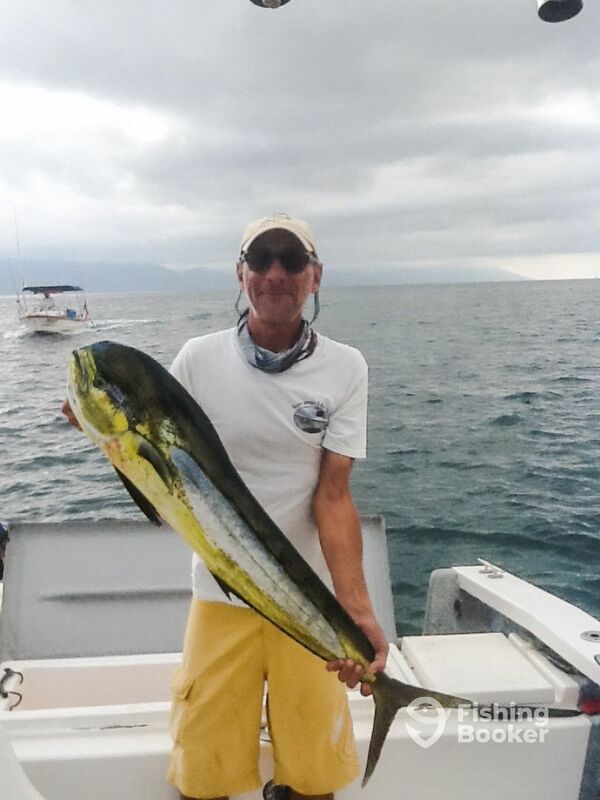 We have Mahi and Roosterfish close to the shore, sailfish, tunas and Marlins outside of the bay! Let's go catching!